John Taylor was born on 28 August 1831 at Huntley, Aberdeenshire, Scotland, the son of James Taylor and his wife Ann, nee Fordyce. He died at his Woollahra residence on 24 May 1906, survived by his widow and family. He was buried at Waverley. John Taylor was apprenticed to the building trade in Portsoy, Banffshire,Scotland. In 1851 he became foreman of McBeth’s building business in Elgin, Murrayshire. He went toEdinburgh,Glasgow, and Liverpool before arriving in Sydney in 1857. John Taylor set up as a builder and took Government contracts, building Berrima Bridge, Gladesville Asylum, and large railway works. In partnership with PN Russell & Co, he built the Macquarie River road bridge at Bathurstand the Grafton steam punts. In 1869, with Kethel and Preddy, he leased from John Booth (1822-98) his Balmain timber yards and mills with a workforce of at least 60. His address in 1885 was Stephen Street, Balmain. He and others traded as John Booth and Co until 14 December 1874 when the saw mill was partially destroyed by fire. He then carried on the business of a timber merchant under the name of John Taylor and Co.
Taylor held Sussex Street property and was a member of the Employers Federation. His private residence was Marathon in Queen Street, Woollahra. John Taylor was elected Alderman of Balmain Council in 1872. He served as Mayor in 1874 and again in 1877 and was responsible for bringing gas and water into Balmain. He resigned from Balmain Council in 1879 to devote his time to the City Council. 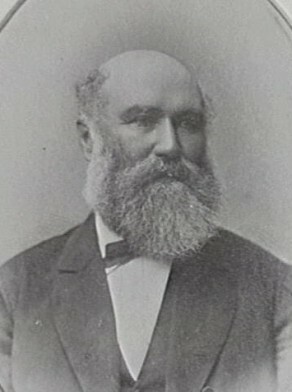 Taylor was elected Alderman for Sydney City Council for Brisbane Ward from 1 December 1877 to 6 December 1900. He was a member of the Works Committee 1899-1900, the Electric Lighting Committee 1891-1900, and the Markets Committee 1891-94. Taylor was the City member on the Board of Water Supply and Sewerage, 1893-1904 and its Vice-President, 1896-1904.